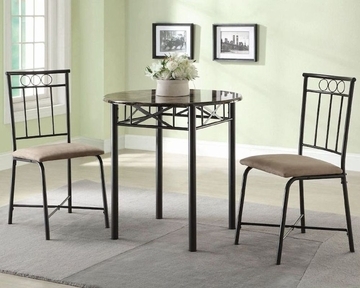 Perhaps your dining area is confined, but your sense of style and decor need not be. Presenting two dining set options, the Slater Casual Dining collection is designed to boldly deck small spaces in Silver Gray metal fretwork, faux marble surfaces and soft fabric upholstered seating. 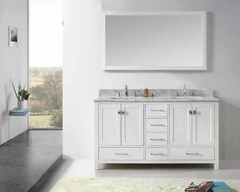 Select from a corner unit with contemporary bench seating and a standard three-piece round top set. Simple and elegantly styled, this three-piece dining set is the perfect addition for a small scale dining room or eat-in kitchen. 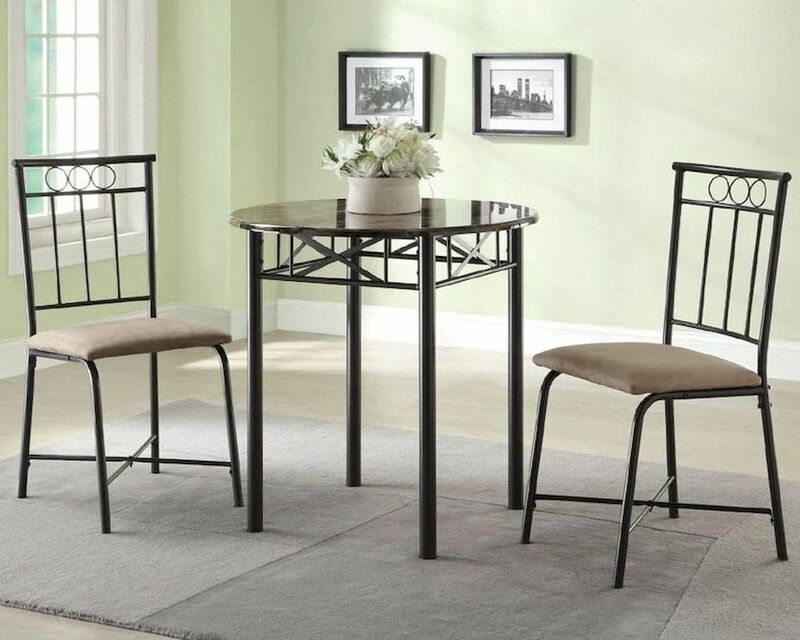 The set features a round faux marble table top and sturdy metal base finished in silver gray, accompanied by metal frame chairs with open backs and upholstered seats wrapped in a durable gray fabric. An X-motif is present in the table apron and in the stretchers supporting the chair legs. Dining Side Chair - 17"L x 16.5"W x 35.5"H; Seat Height: 18.5", Seat Depth: 15"